In sixteen chapters, Richard Brignall covers Canada’s participation in international men’s hockey from the 1920s to 2010. The core of the work, of course, focuses on the 72 Summit Series, which the author has investigated by researching primary sources such as newspapers, other books by eyewitnesses or participants, as well as video series and documentaries (these are all listed in the acknowledgements section). Each of the chapters has a black and white photograph or two, as well as sidebars offering information on marquee players as well as background on other topics ranging from the birth of the Soviet Union to the nature of communism. It should be noted Brignall is a journalist and not a historian, so he repeatedly calls the Soviet Union “Russia”—at one point even insists it was known as the “Iron Curtain”—and also confuses democracy with capitalism. Fortunately, he is still a good sports writer and this slim book is a pretty entertaining account of Canada’s wavering dominance of world hockey. After the Trail Smoke Eaters won the 1961 World Championship, our amateur teams were never really competitive against Europe’s best. The Summit Series was designed so elite Soviet players could compete with NHL professionals. From September 2 to 28, 1972 eight games were played, and Brignall usually devotes a chapter to each (naturally the Cinderella-story of game eight gets a little more space). 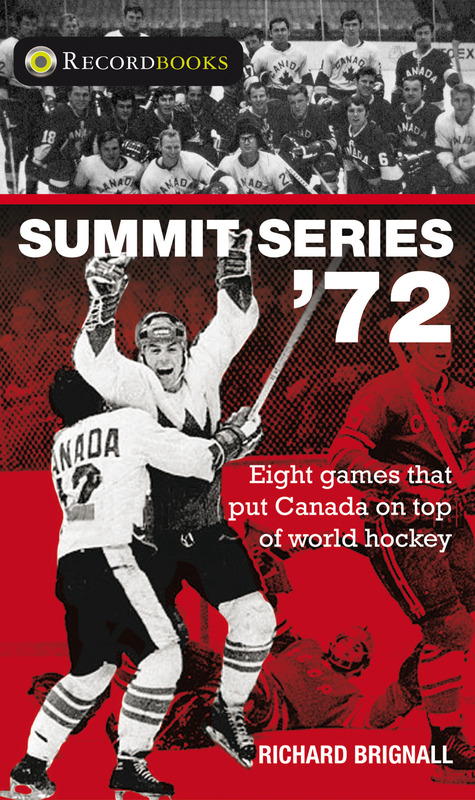 Classroom Connections: Summit Series 72 is part of Lorimer’s Recordbook series (these focus on famous Canadian athletes or teams). The writing is accessible for intermediate level students—especially those interested in sports—but the text would also be a good starting point for high school assignments dealing with identity/heritage in 20th Century history courses (such as the “Canadian Identity” unit in BC’s Social Studies 11, or “Canada 1945-1982” in Ontario’s revamped grade 10 “Canadian History since World War I” curriculum).